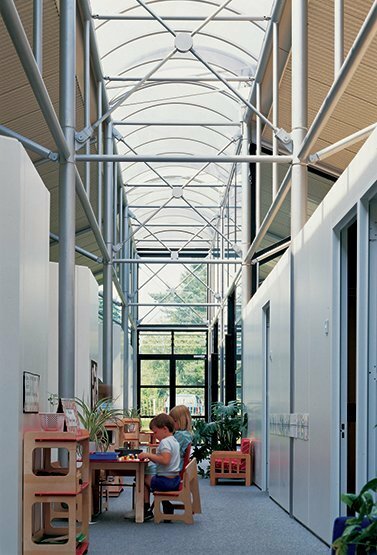 Built on a wooded site next to a secondary school, the Infants School has a rectangular plan, divided in two by a top-lit circulation spine, a main hall and cellular spaces on the north side. A row of nine open plan classrooms are situated on the south side. 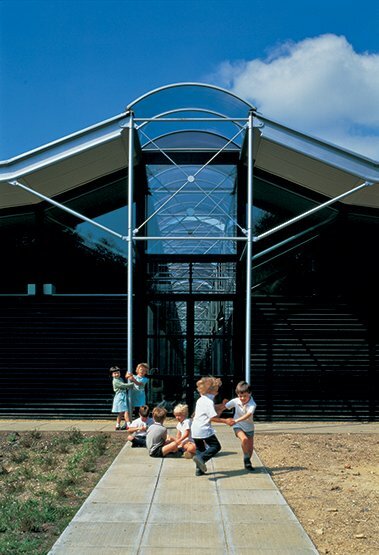 The structure is simply expressed; a barn-like, double pitched roof of insulated metal decking, with glazing at the ridge over the circulation spine, is supported by a light weight precisely detailed steel frame. 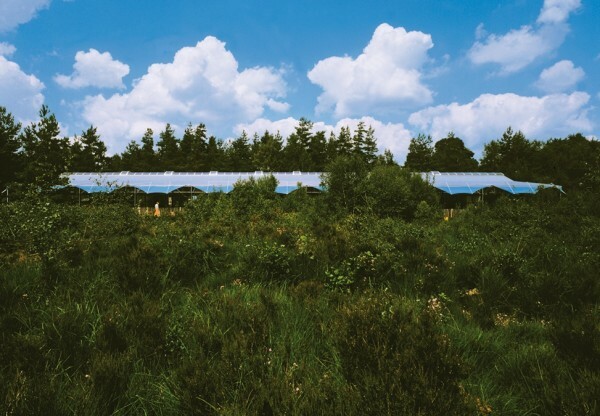 Within the envelope, cellular spaces are enclosed on the structural grid lines. 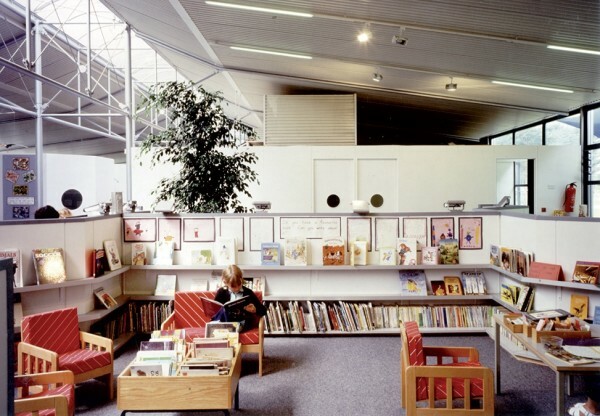 On the south side, with the exception of the small octagonal quiet areas, the classrooms are open to the airy daylight of the soffit of the main roof and to the top lit spine. The south wall is entirely glazed and each classroom has a wide, double door that opens onto a paved terrace where children can play outside. 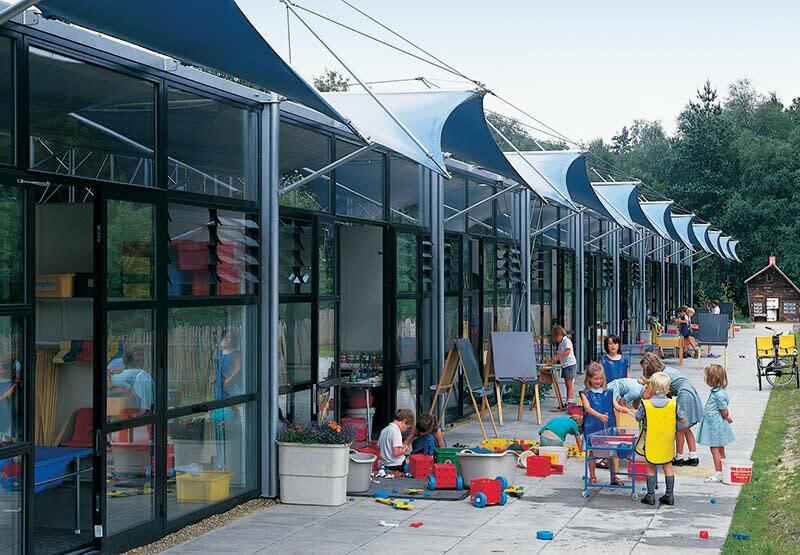 Expressive blue awnings shade the south wall, made of Teflon-coated PVC.